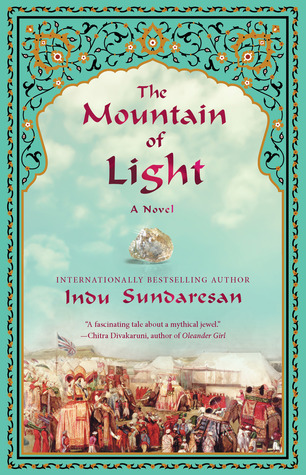 As with her other books, Sundaresan brings to life, the Mughal Era, and the lives of the royals at that time. I had read the other two books based on Mughal history -The Twentieth Wife and the Feast of Roses, and had been dying to get my hands on Shadow Princess. 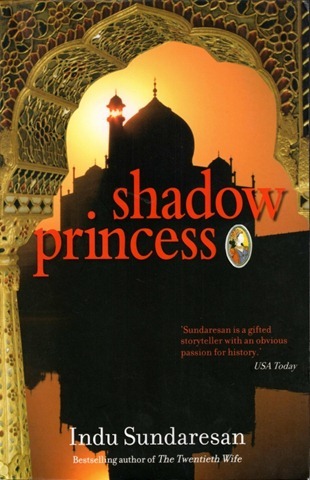 Shadow Princess chronicles the life of Jahanara, Shah Jahan and Mumtaz Mahal’s oldest daughter, from the time her mother died giving birth to her fourteenth child. Mumtaz Mahal’s death comes as a complete surprise, and nobody knows what needs to be done. Shah Jahan goes to pieces, and the teenaged Jahanara has no option but to pick up the reigns and be strong for everybody else. The role of Padsha Begum, which in normal circumstances would have gone to her father’s other wives, fell to her, and she rises up to the occasion, and proves that she has the ability and the mental strength to handle it all. Not only does she organize everything, she also helps her dad to go back to ruling the country, something he was ready to give away to one of his sons. Knowing that her brothers were too young to take up the responsibility, Jahanara perseveres and gets her heart-broken father to become King again. She navigates through her father’s sorrowful state, her brother’s rivalry and her sister’s treachery. Shah Jahan comes to depend upon her so much that he even refuses to think about her marriage – he needed her to support him with the ruling of his kingdom. Jahanara, slowly becomes the most powerful woman in the kingdom. 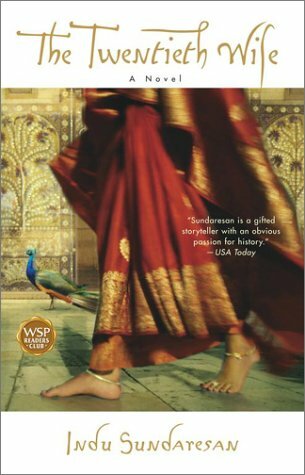 The book chronicles Jahanara’s story, bringing to life, the Mughal court and it’s politics. Brothers fighting for the throne, sisters in conflict for power,alliances made for grabbing power, life as a royal, where sometimes what you really want, you never get, although you have the access to all the jewels, the money, and the power that one could possibly want. Jahanara, while she had everything, still did not get to lead a life that she wanted. As Jahanara’s story progresses, we also get a glimpse of the Taj shaping up. The monument of love, which remains the most known symbol of the Mughal Period, and the most recognized Indian monument, even centuries after it was built. While we have all read, and learnt about Shah Jahan and Mumtaz Mahal, this was my first exposure to Mumtaz Mahal’s daughter, who, from reading this book, might have been a far better and fairer empress than her father or her brother would turn out to be. One can only wonder, I suppose, of how India’s history might have turned out, had she been ruling India, instead. Sundaresan’s descriptions transport you to that era, effortlessly. You almost feel the heat of the afternoon, the texture of the silk that they wear, and the aromas of the food she describes. The grandeur and the opulence of the court, the power play, and the way in which seemingly powerless women of the zenana controlled the kingdom in more than one way is brought to life by Sundaresan’s words. I loved the book, just as much as I loved all her others. If you like historical fiction, you will love it too! 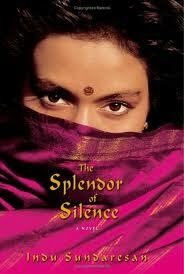 The Splendor of Silence is a sweet romantic story, woven into the period where India was still under British Rule. It starts off with Olivia, an American girl, getting a trunk filled with her Indian mother’s belongings. She has grown up with her grandmother and father, who has always been curiously quiet about her mother. In the trunk, she finds a letter which begins to tell her the story of her parents. It was 1942, Mila, the daughter of the Political Resident, Raman, is betrothed to Jai, the Prince of Rudrakot. Raman, is a widower, with 3 children, 2 boys and a girl – Mila. He dotes upon Mila, giving her opportunities that most Indian parents would have balked at, in those times. He is determined that his daughter has the opportunities that his wife did not. At a time, where people would not even want girls, Raman was the exception to the rule. One day, Sam Hawthorne, an American captain reaches Rudrakot and everything changes from that point on. Sam, ostensibly, was there to rest his injured shoulder, has another hidden agenda, which is very important to him, personally. The author has done a wonderful job in characterization. Each person in the story has a very well etched out character. It is quite understandable at the end of the book, why some of the main characters behaved the way they did. Mila’s confusion, her choices, and her decision, are all understandable given the circumstances and the society that she lived in. She has also very brilliantly captured the dynamics of India in those days. The caste system, the racial discrimination between the British and the Indians, the manner in which Indians remained less than equal. The political sentiments that prevailed at that point is brought out very well in the narrative. Mahatma Gandhi’s influence, the manner in which some people chose to interpret it, and the confusion of some Indian, who genuinely believed that the British in India, was doing a good thing. I love the book. I loved everything about this book. I would give it a 4/5. Anyone who likes historical fiction, is sure to love this one.